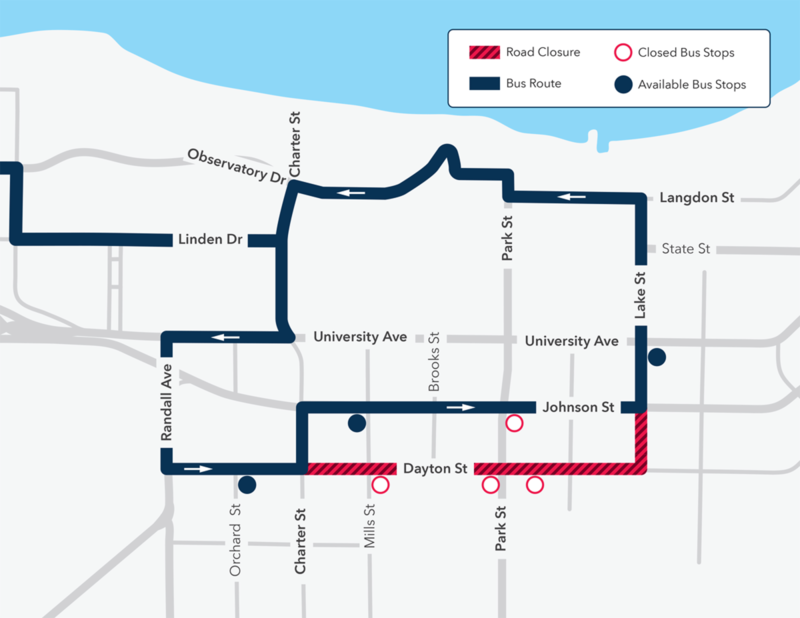 Due to construction, Route 80 detours from Dayton St. between Charter and Lake. Passengers can board at Stop #0741 on Johnson at Mills St., or Stop #0765 on Lake at University Ave. Please note that Route 80 buses do not serve Stop #0455 on Johnson at Park St.
Construction is expected to continue through the end of 2019.